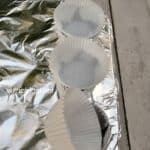 How to keep your Muffin Pan clean for longer or to keep the mess at the absolute minimum ! I absolutely hate doing dishes, and no, I do not want a dishwasher – never did and probably never will. I hope my Stay Clean Muffin Pan tip will help you as well !